The overall farm workforce in India is on the decline due to mechanization and a shift to non-labour-intensive farming. Moreover, the male labour force for agricultural activities is declining faster as men in the villages are opting for salaried jobs or migrating to cities and towns for better opportunities. The emerging scenario being perceived and noted is that of increased womens participation in agricultural activities. It is therefore highly essential to undertake gender analysis to improve our under - standing of the gender-based division of labor in the context of newer roles and responsibilities for farm women in agricultural activities. The present study was undertaken in the following three selected districts Mahbubnagar, Warangal and Nalgonda of Andhra Pradesh with a sample of 120 Farmers and Farm women in rice-based cropping system. Gender analysis based on the Harvard Analytical Framework was undertaken to gain an understanding of the gender-based division of labour and gender dif - ferences in access to and control of resources and benefits. Majority of the respondents from all the study villages reiterated the fact that women are increasingly taking care of almost all the faming activities as men are seeking wage labour. Once sowing of crops is over, the rest of the activities are being solely monitored by farm women. They also reported that the women are burdened with multiple roles of managing farm activities, home and animal care, but still when it comes to wages receive less than male labour. Therefore for the empowerment of farm women, capacity building programs, appropriate tools and technologies and gen - der responsive policies are urgently needed which would in the long run contribute for reducing poverty, sustaining household food security and nutrition, and overall rural and community development. Amtul Waris completed her PhD. in Extension Education from Acharya N.G. 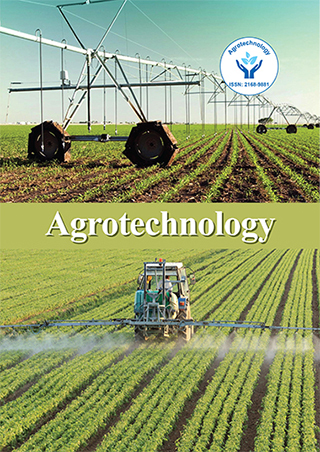 Ranga Agricultural University and is presently working as Principal Scientist at Directorate of Rice Research, Hyderabad. She is a recipient of the Fulbright Scholarship for Agricultural Development at Michigan State and Cornell Universities, USA. Her areas of research interests are gender mainstreaming and capacity building of development personnel.